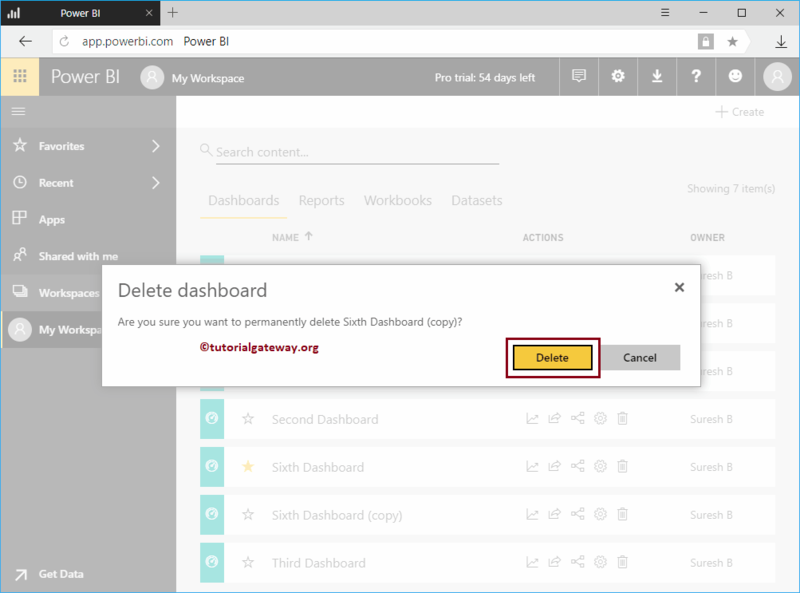 In this article, we will show you the step by step approach to Delete Power BI dashboard with practical example. Before we start deleting a dashboard, let me show you the existing dashboards in my Power BI workspace. 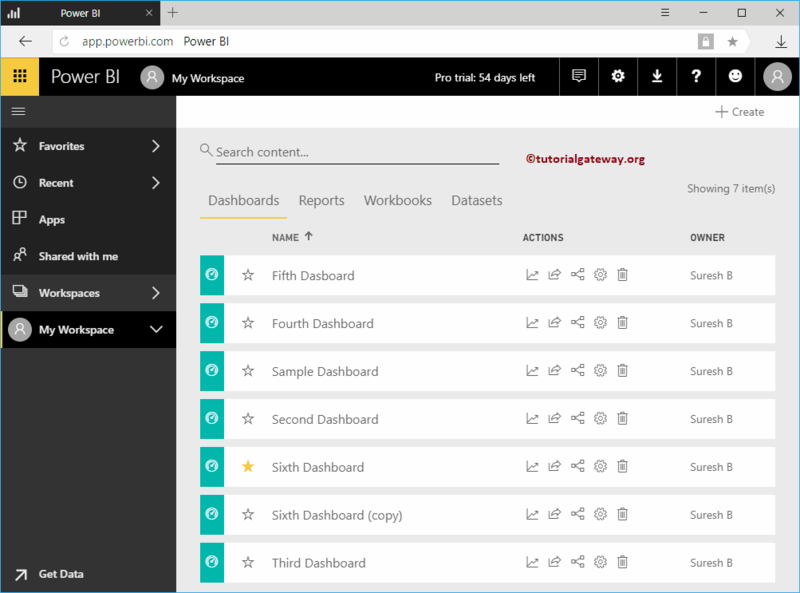 To view them, please click on the Power BI My Workspace, and then go to the dashboards tab. From the below screenshot you can see that, there are seven dashboards. In this example, we will Delete the Sixth Dashboard ( Copy ). This is just a copy of sixth dashboard. In order to Delete Power BI Dashboard, click on the Delete button under the Actions section as we shown below. Clicking the Delete button will display a confirm box. Please select the Delete button to confirm the deletion. From the below screenshot you can that there is no Sixth Dashboard copy in our dashboards list.